There's a new Baldur's Gate game in the works. No, I don't mean Obsidian's spiritual successor Pillars of Eternity. I mean a real, "It's called Baldur's Gate" game. 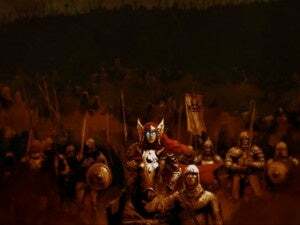 The announcement comes courtesy of Beamdog, the developer that worked on the updated Baldur's Gate: Enhanced Edition and Baldur's Gate II: Enhanced Edition. Before you get too excited, it's not Baldur's Gate III. Instead, Beamdog claims the game "will be an addition to the Baldur’s Gate line using the Infinity engine, bridging the gap between Baldur’s Gate: Enhanced Edition and Baldur’s Gate II: Enhanced Edition." That's honestly a bit strange, as Baldur's Gate II picks up like, ten minutes after the original game ends. It would be a bit like if Peter Jackson showed up crying at your doorstep and said, "I've got it! I'll make a new Lord of the Rings movie, and it'll take place between Fellowship of the Ring and The Two Towers." You'd be like, "Hey Pete, doesn't Two Towers basically start where Fellowship leaves off?" and he'd be like "I turned The Hobbit into three movies. I can do whatever the hell I want." 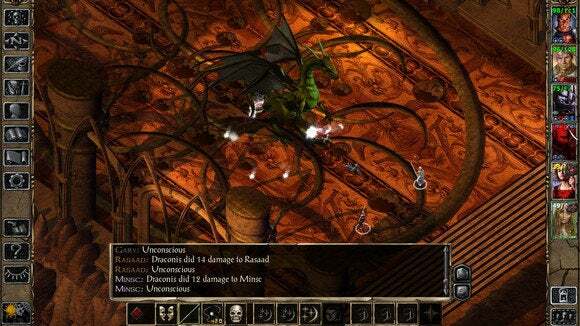 Regardless, Beamdog is leaving open the possibility of a Baldur's Gate III. "We’d be lying if we said we never think about doing a Baldur’s Gate III game, so we won’t say that," writes Beamdog. "But we will say there’s nothing in the works yet regarding BGIII or a 5th edition game. That doesn’t mean the opportunity will never arise, though, so we’re preparing by starting a tabletop 5th edition Dungeons & Dragons game here in the office." Fifth edition ruleset? There go my hopes nightmares of another game based on THAC0.